Jose Mourinho has used a number of players at centre-back during his season-and-a-half at Manchester United. We used Chris Smalling and Phil Jones in the middle of our back four during Sunday’s loss at Newcastle United. Marcos Rojo was among the substitutes; another player Mourinho has played several times, all whilst Eric Bailly has been sidelined for the past three months. Our Ivorian centre-back is certainly the boss’ preferred choice, whilst last summer’s big signing, Victor Lindelof, has failed to impress in his debut season and has not been given many chances of late. Don’t be surprised if Jose Mourinho makes a move for another centre-back in the summer. I don’t see Smalling or Jones as regular first choices under the Portuguese coach in the long-term and he may have given up on Lindelof already. And now the Manchester Evening News are speculating that Eric Bailly’s partner for next season could be Toby Alderweireld. 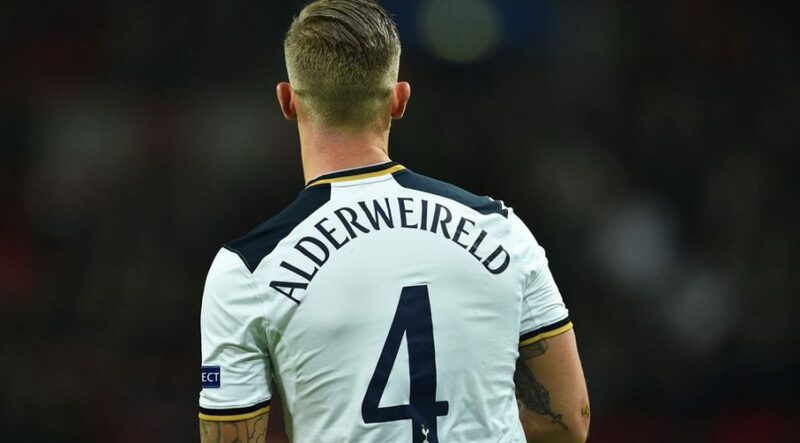 Alderweireld has only just returned from a three month lay-off at Tottenham Hotspur but had been one of the best centre-backs in the league prior to injury. His contract expires at the end of next season too and should the 28-year-old not sign a new deal before the World Cup, Spurs could be forced to sell during the summer transfer window. However, there is an extension in his current contract, but should the North London club be forced to activate this, the Manchester Evening News report that a £25 million release clause will be activated, which would further increase the pressure on Mauricio Pochettino to sell this summer. Standing at 6’2” and with three-and-a-half seasons of Premier League experience, as well as being one of the top defenders during that time, would make him an ideal signing at Manchester United. The report claims that we have shown interest in the Belgian international. There is no doubt he would be an upgrade on the likes of Smalling, Jones and Rojo, to partner Eric Bailly. Let’s see if anything comes of this report over the summer.